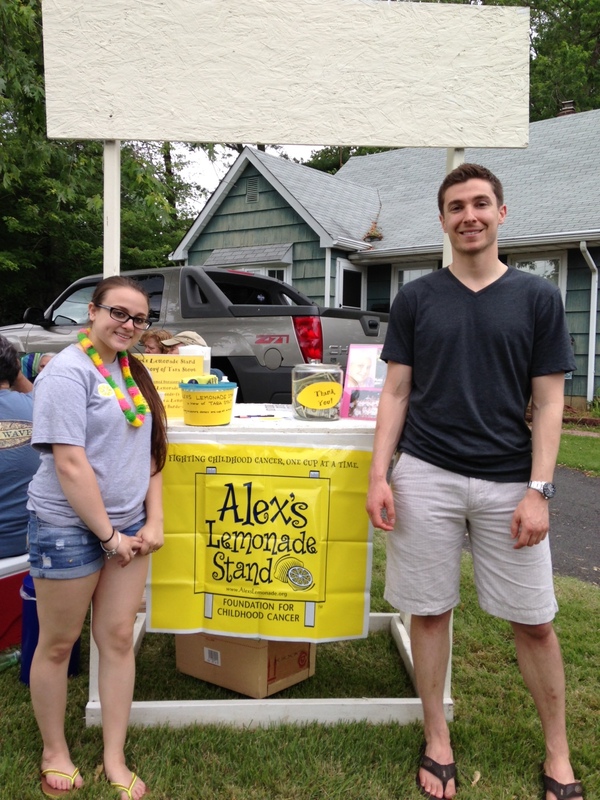 For years I heard about Alex’s Lemonade Stand and have always wanted to get involved. For those of you that don’t know about Alex’s Lemonade stand: “Alex’s Lemonade Stand Foundation (ALSF) emerged from the front yard lemonade stand of cancer patient Alexandra “Alex” Scott (1996-2004). In 2000, 4-year-old Alex announced that she wanted to hold a lemonade stand to raise money to help find a cure for all children with cancer. Since Alex held that first stand, the Foundation bearing her name has evolved into a national fundraising movement, complete with thousands of supporters across the country carrying on her legacy of hope.” I found out about an amazing story about a young girl raising money with Alex’s Lemonade stand and knew I had to get involved. However, this story really isn’t about me. It is about an incredible girl named Rebekah. Rebekah lost her dear friend Tara to cancer at the age of 10. After Tara’s tragic passing, Rebekah decided she needed to do something to honor her friend. She started a Lemonade Stand with Alex’s Lemonade to raise money for childhood cancer. That was 6 years ago. Every year, since that time she has collected donations and hosted a lemonade stand in East Brunswick, New Jersey. I made a donation, spent time at the stand, and brought in a few extra customers(my parents and girlfriend). To date, she has raised over $8,000 with a goal of reaching $10,000 before graduating high school. Most children that age (including myself) would not have done what Rebekah has, year after year. It is truly admirable and inspirational. Hearing her story and witnessing her passion gives me even more motivation to push forward to 30 Deeds and beyond. Thanks for supporting Rebekah and Alex’s Lemonade Stand Foundation with your 21st deed! It’s a little early, but we wish you a very happy 30th birthday! Thank you for the birthday wishes and kind words. I am happy to help a great organization!